↑ 1.0 1.1 George Saliba (1994), A History of Arabic Astronomy: Planetary Theories During the Golden Age of Islam, pp. 245, 250, 256–7. ↑ 2.0 2.1 King, David A. (1983). 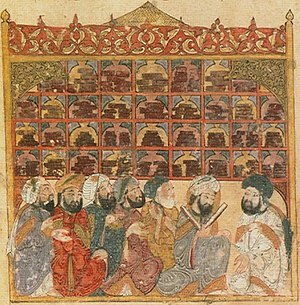 "The Astronomy of the Mamluks". Isis. 74: 531–555. doi:10.1086/353360. ↑ 3.0 3.1 Hassan, Ahmad Y (1996). "Factors Behind the Decline of Islamic Science After the Sixteenth Century". in Sharifah Shifa Al-Attas. Islam and the Challenge of Modernity, Proceedings of the Inaugural Symposium on Islam and the Challenge of Modernity: Historical and Contemporary Contexts, Kuala Lumpur, August 1–5, 1994. International Institute of Islamic Thought and Civilization (ISTAC). pp. 351–399. http://www.history-science-technology.com/articles/articles%208.html.